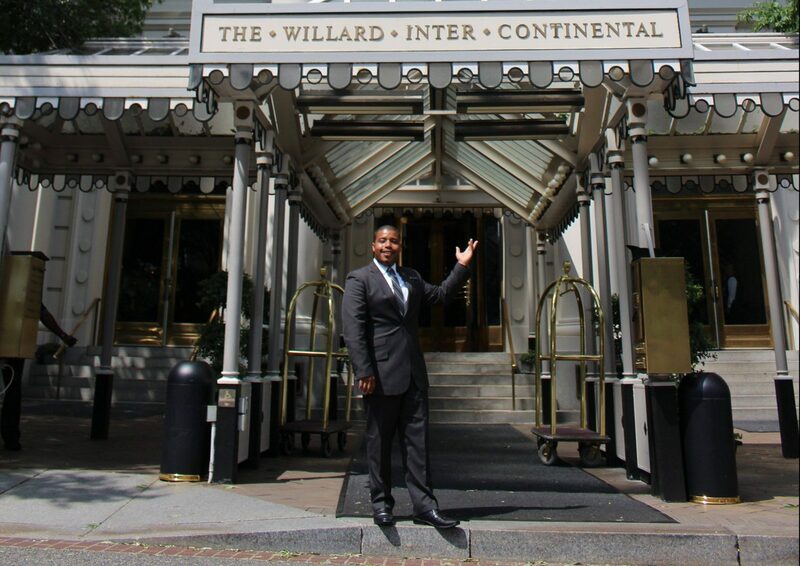 Located in downtown Washington, D.C., two blocks from The White House and steps from the iconic monuments, memorials and museums on the National Mall, The Willard is easily accessible by many modes of transportation. Your arrival in Washington, D.C.
Airport transfers, shuttles, and sightseeing via limousine, sedan, mini coach or bus can be arranged through our Concierge. Call (202) 628-9100 or email for more information. Complimentary Tesla Chauffeur Service The Willard InterContinental Washington, D.C. offers a complimentary Tesla chauffeur service within a three mile radius of the hotel, Monday – Friday from 7 a.m. – 9 a.m. This service is available on a first-come first-served basis and provides drop-off service only. The Tesla Model S zero-emission sedan is part of the hotel’s ongoing commitment to implementing green initiatives. For more information, please contact the Concierge. Valet parking is available for all hotel guests 24 hours a day. Guests may call for their vehicle at least 20 minutes prior to departure. Overnight valet parking rate is $55.00 and includes unrestricted in and out privileges. The Willard garage vehicle height restriction is 6′ 5″. Motorcycles are permitted in the garage only if the hotel guest is staying overnight. Day parking for motorcycles is not available. All oversize vehicles including buses, campers, RV’s and cars with trailers are not permitted in the garage. Please see alternative parking options available at Union Station.